I hope you are having a great Friday and ready to start the weekend. 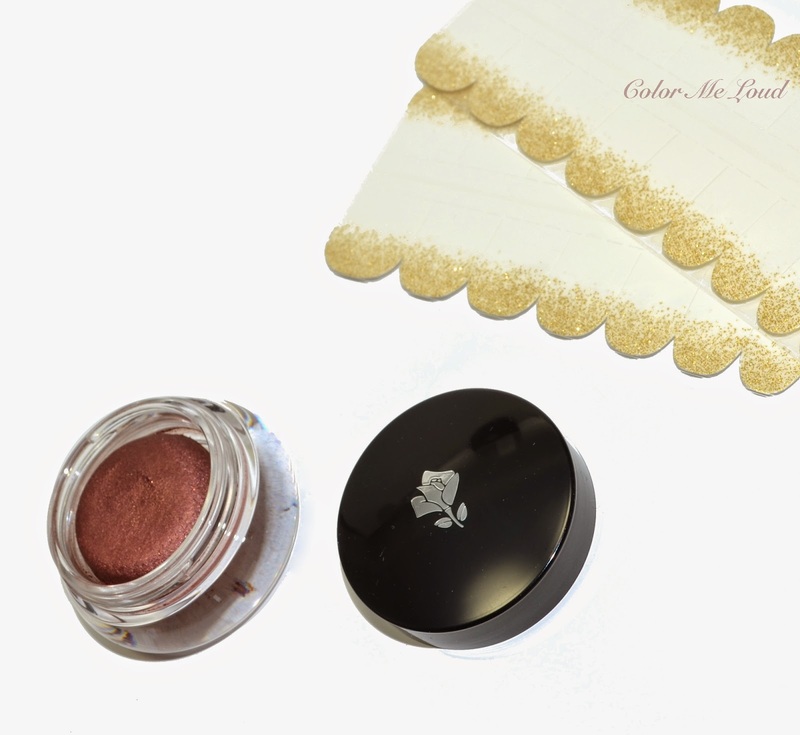 Until now I haven't made plans other than hitting the MAC Counter tomorrow early to catch the bronze pigment which I missed when it was sold out during the first hours of online release. I am going to also check out Lancome Counter in Breuninger and see if they have already received the Holiday Collection. Today I would like to share you two of the products I received with you. Can it get any more Xmassy than red & gold. Let's start with red. I have never tried Lancome's Hypnose Dazzling cream eye shadows. If I am not mistaken, they released few other shades last holiday season. When I had seen the promo images, red one was screaming my name. I have reddish browns but an eye color with "Rouge" in it and dazzling, yes please. When I swatched it for the first time, I was even more excited to try it on. It has a red base with pink shimmer and golden particles inside. It is hard to capture its beauty by camera. I took out some other reddish cream shades from my stash just to see that nothing was red enough. 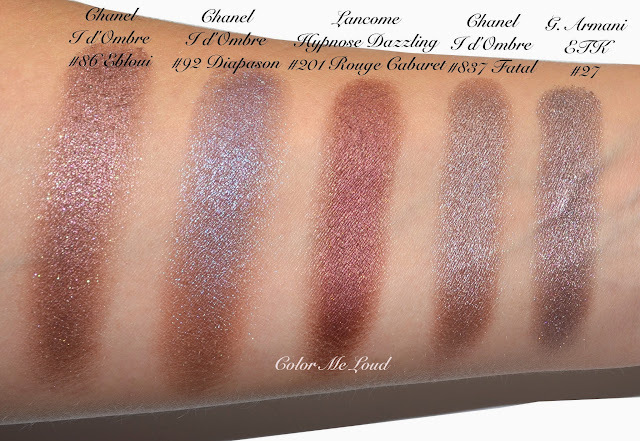 Also the textures of Chanel Illusion d'Ombre and Lancome Hypnose Dazzling are so different. Chanel IdO is more sheer it can be built but it would never look as opaque and striking as Lancome Hypnose Dazzling. IdOs are also all very shimmery once compared. Lancome HD is more duo chromy, which I really like. The first surprise was after I swatched them all side by side and wanted to remove it with Bioderma. Everything was removed but Lancome Hypnose Dazzling #201 Rouge Cabaret id not even fade a little. It is a good thing if things tend to move too much on you but be aware, you need an oil based remover for this formula. The closest shade to #201 Rouge Cabaret is Chanel IdO #86 Ebloui. Giorgio Armani Eyes To Kill #27, Chanel IdO #837 Fatal (my all time favorite) and #92 Diapason are all more purple and cooler. Here is me wearing Lancome Hypnose Dazzling #201 Rouge Cabaret. Sorry for the focus getting only one eye during photos lol. I have applied a mid-toned cool brown on the crease to deepen it just a little bit and added some whitish highlight on the inner corner. 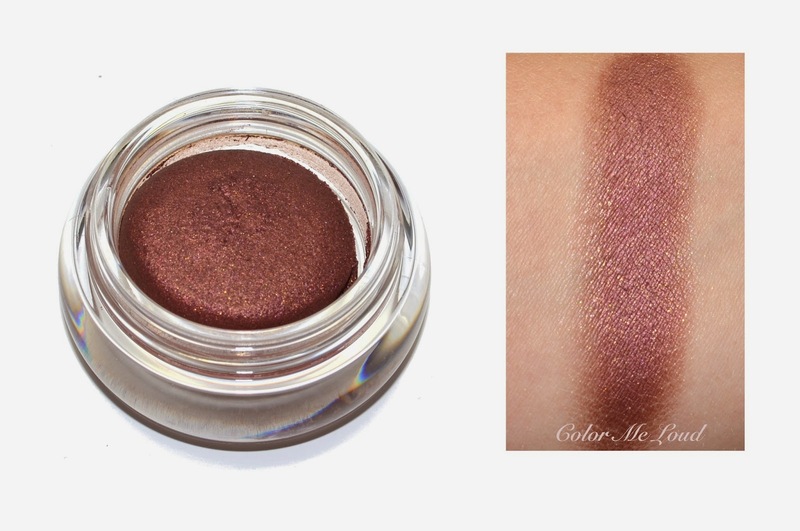 Other than that I loved the swipe and go quality of Rouge Cabaret for an effective bunny eye for Christmas nights. 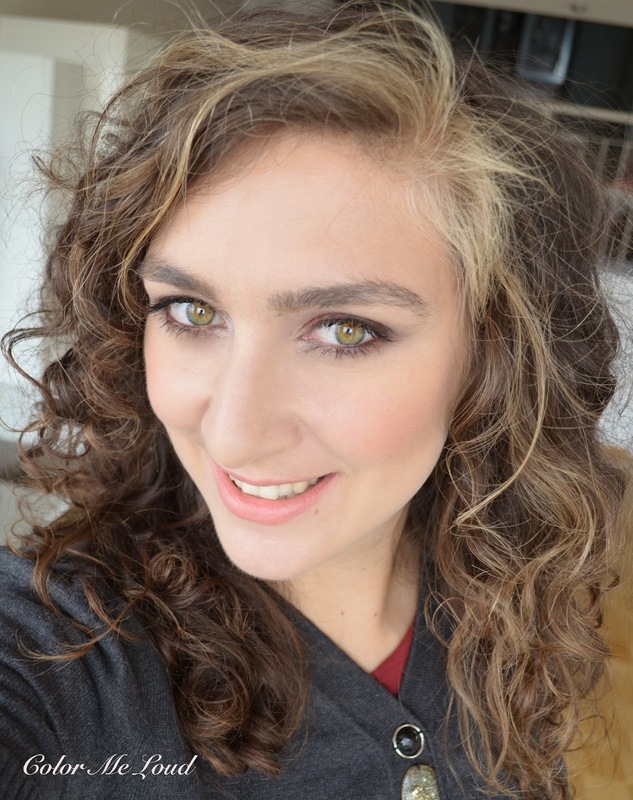 You had seen me wearing Lancome Hypnose Dazzling #201 Rouge Cabaret at this post two times, here is one of the FOTDs to show the eye makeup in context. Let's come to the nails. There are three nail polishes in the collection and a nail tattoo. I was sent the nail tattoo to review. I have to hide my face because of shame and mention that this was the first time I applied a nail tattoo. It all went wrong the first time around and I ended up spending most of the stickers while trying to figure out how to apply it. So here is a quick explanation for the others who are as ignorant as I am when it comes to nail art. You first put on your base color. I have selected Chanel #71 Laque Rouge (reviewed here) for that. Important thing is that you wait for it to dry! I was first going with a purple base but it was not dried, *irony* surprised to see that ones I stick the tattoo on it, it was smudged. After it is dry, you take out the tattoos. There are different sizes of these, you have to select ones which are closest to your nail size. If it is too small, you can see the borders. If it is too big, it has to be cut later on to make sure they don't peel, which is also hard. So yes, carefully choose the right size. When you are doing this, proceed with care and even if it is not perfect you can move it around since it is yet dry and sticky. 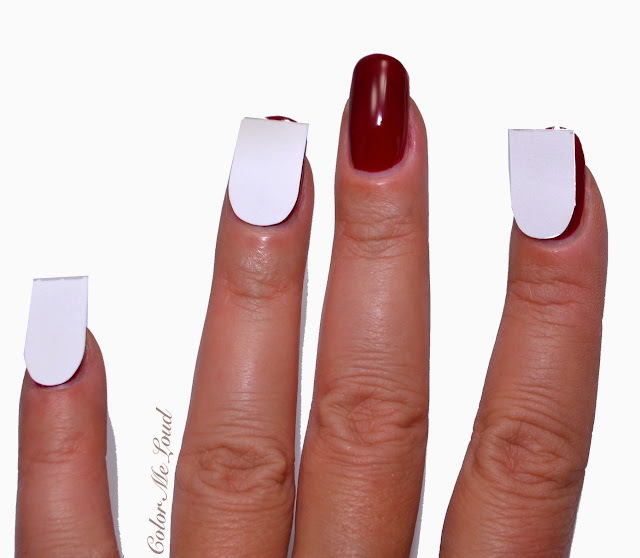 Put the rounded part on near to cuticles, as seen in the photo. I have spent some of the tattoos as I placed them the wrong way. Afterwards I though "hmm maybe the roundness indicates the cuticles! How smart of me! After you carefully placed the stickers, you can add a few drops of water on the paper. The paper gets wet and the stickers is immediately transferred on the nail. It was shows on the description to wait for 10 seconds but I have seen that I didn't even need 1 second after it was wet. After you make all the stickers wet and transfer them on the nail, you can add a top coat for longevity. My manicure held for 4-5 days until I removed it. These were very long lasting and fun. All in I loved to add a little bit of something special to my manicure. I am not ever a beginner when it comes to nail art but I could figure this one out after spending a few stickers. Here is the result, how do you find it? Final thoughts: As a member of the eye of the rabbit fun club, I am loving Lancome Hypnose Dazzling #201 Rouge Cabaret on the eyes. The formula is waterproof so you need an oil based product to remove it, good news is that it doesn't smudge. It was my first time trying nail tattoos and I liked the way it added something special to the mani without too much effort. 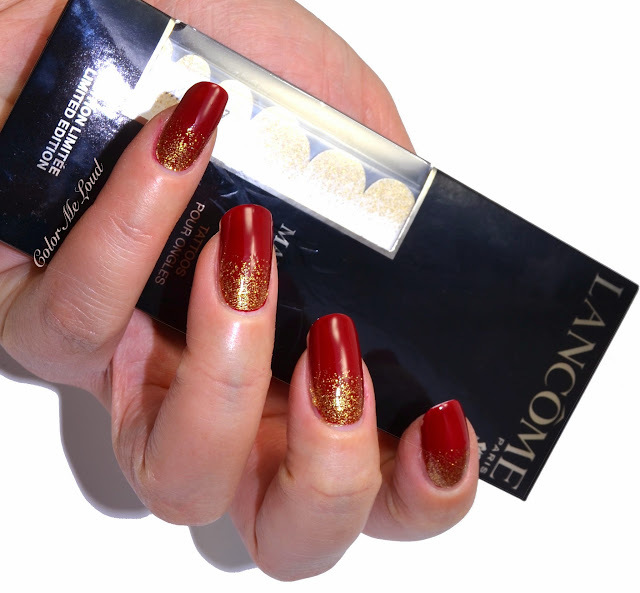 Price/Availability: Lancome Hypnose Dazzling has three shades and retails for $25, nail tattoos are $18. These are available right now. Do you use nail tattoos? What is that you like/hate about them? LOL, yes Tattoo is really lovely, easier to pull off probably. Red eye shadows always need a perfect base and no redness. Oh wow what a great idea for the nail tattoos! So pretty and seems easy enough for me! Thanks for the step-by-step instructions, Sara! Super helpful! I was such a noob trying to apply it, I though there are others out there who need my help, lol.